The Great Experiment | Spaceship! Spaceship! Spaceship! 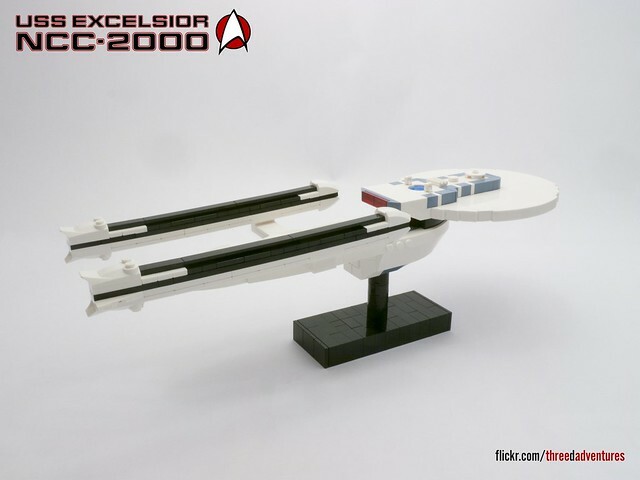 This blog is no stranger to Shameless Self Promotion and with that disclaimer I give you my recent MOC of the USS Excelsior from Star Trek. Always one my favourite starships, when it first appeared in Star Trek III it was depicted as clunky and bloated, and it was only in subsequent appearances we got a good look at the design and discovered it was actually wonderfully graceful and elegant. I was quite pleased with the way this turned out, although I wish I hadn’t used as many rare sand blue parts because… money. 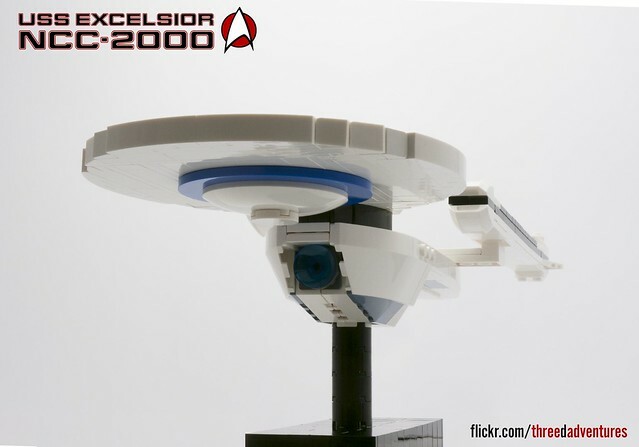 This entry was tagged microscale, MOC, shameless self promotion, star trek. Bookmark the permalink.